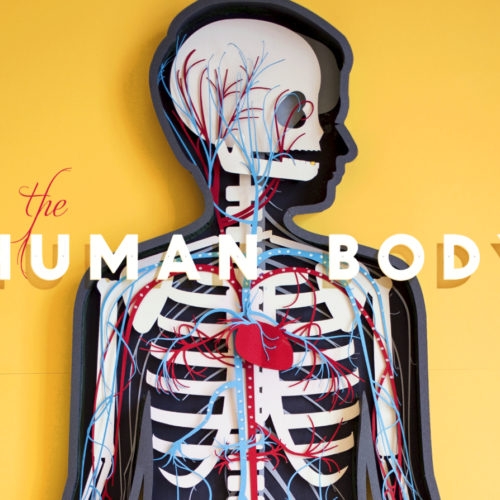 When we first started talking about The Human Body, one of the first big discussions we had was: who is going to illustrate the app? The scope of the project was massive, scientific, and required an illustrator with an approach to design that would consider complex systems – of the body, that would apply to the UI, and that would make sense for a children's app. Kelli Anderson was always the first name on our list, so we approached her both as old friends and as great admirers. We knew her approach to design was often very tactile, considered the importance of simplifying when possible, and that she would always be rigorously thoughtful about her decisions. We presented her with a very long list of illustrations, from the heart to the stomach, blood vessels, to the eyeball (and yes, vomit and poop, too!). She plowed through that list with great aplomb, delivering incredibly complex files to us that perpetually elevated the quality of the app. 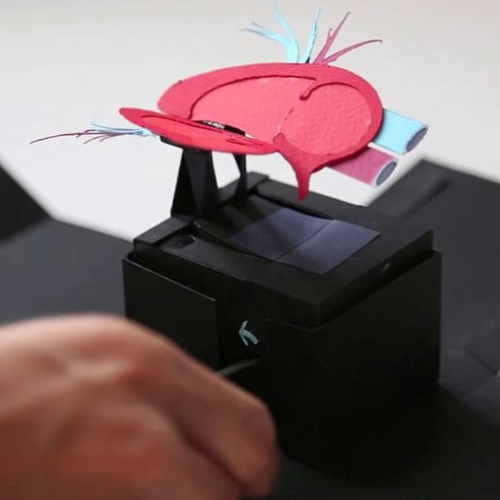 She also stepped in with UI notes, animations, and, as a side project, whipped up this incredible 3D paper stop-motion of the human body, cut to mirror the silhouettes she'd created for the app. …the reason I really wanted to work on this app (aside from friendship) is because of the somewhat radical stance that Tinybop takes in promoting intrinsic curiosity and creative play. The app is intentionally non-linear—eschewing a goal-oriented rewards system (familiar to anyone who has racked-up points a video game) for freeform exploration. 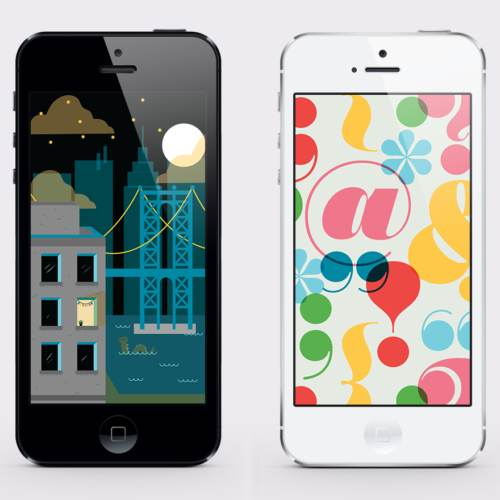 In the app there is no next-level, no chiming sounds-of-affirmations, no-counter-of-victory. It steers clear of “the peril of gold stars” (as I recently heard Jack Hitt describe it) —the way in which external approval seems to interfere with the development of natural creativity and curiosity. (It is a classic psychological experiment: in lab settings, intrinsic interest in an activity has been shown to decline when the same activity is framed as a means to some extrinsic goal—either a tangible reward or adult approval…otherwise recognized in the adult world as the phenomenon of “once it’s a job, it’s no longer fun.”) In its very structure, it imparts this idea that learning is fun—a reward unto itself. Kids are encouraged to ask questions about everything, and act on their own agency in choosing a route through the app. There is no “right way” to move through this app. Kelli, it was a pleasure to collaborate on this app and we look forward to lots more magic-making in the future.